The game has only been out for a few days. Apex Legends may have been released just a few days ago, but that isn’t stopping Respawn Entertainment and Twitch from teaming up to host the game’s first official big-money tournament. 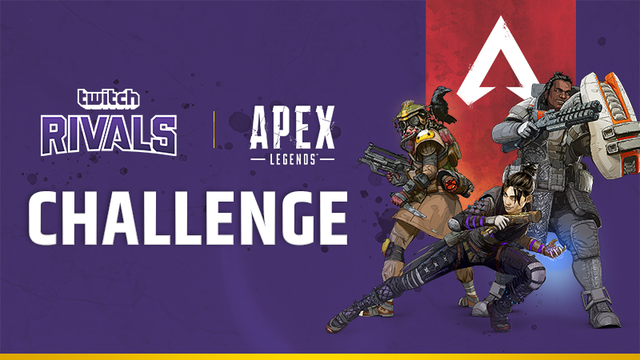 The Twitch Rivals Apex Legends Challenge was announced yesterday on a Twitch blog. It will be a two-part competition on Feb. 12 and 19, featuring 48 Twitch streamers and a $200,000 prize pool. Some of the top streamers participating in this Apex Legends tournament include Guy “Dr DisRespect” Beahm, Jeremy “Disguised Toast” Wang, and Michael “shroud” Grzesiek. These streamers will be broken down into 16 three-player teams fighting for points. Five points will be awarded for winning a match, while players will earn one point for each kill. The event will be streamed from the TwitchRivals account, as well as each participants’ individual stream. Apex Legends has already seen early success since it was released, and this tournament could help increase the game’s popularity even more.